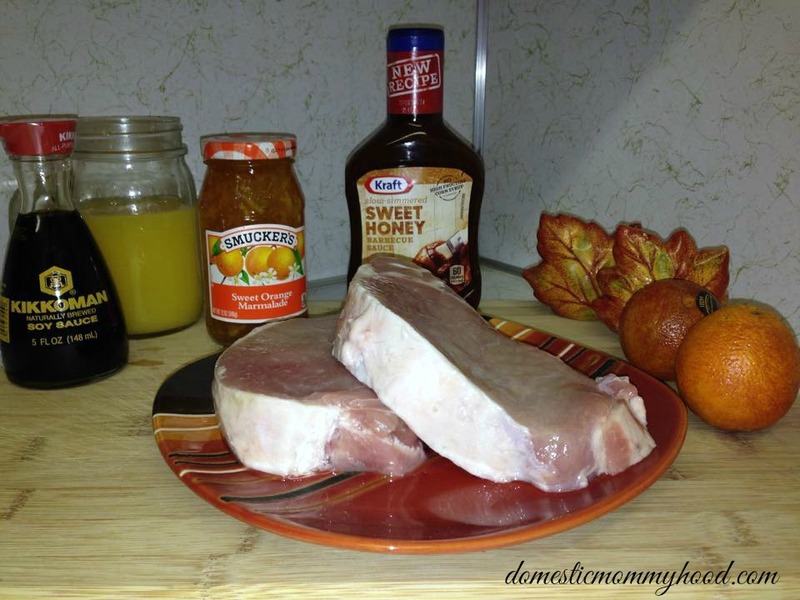 If you are looking for a sweet and spicy pork chop recipe you won’t be disappointing with this masterpiece. 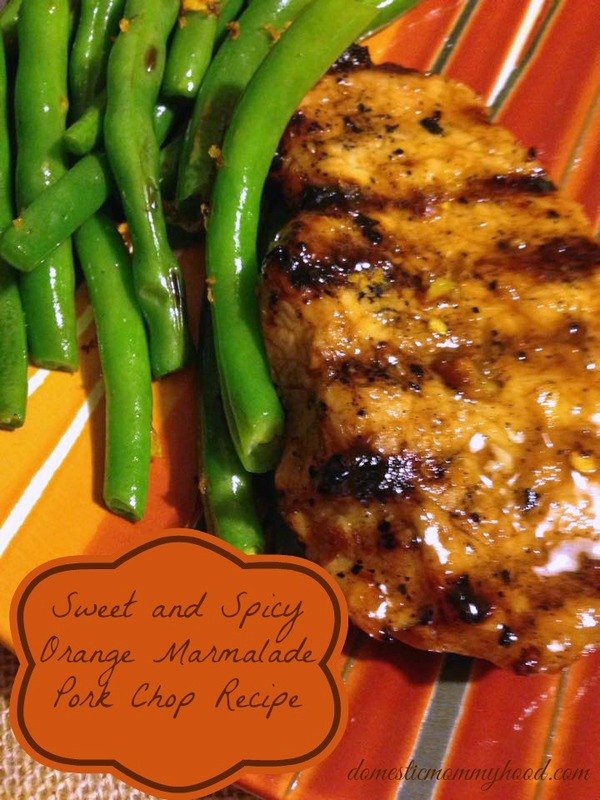 I love the way the BBQ and marmalade blend together to make this melt in your mouth sweet and spicy pork chop recipe. The recipe is easy to follow if you are a newbie cook and taste great enough that you would think a 5 star chef prepared it for your family! It just takes a few ingredients and I promise this pork chop recipe will be a hit with your family for years to come! Pierce uncooked pork shops with a fork 5 or times on both sides. Combine orange juice, soy sauce an crushed pepper in a shallow baking dish. Place pork chops into mixture and cover with saran wrap or aluminum foil in refrigerator for at least 30 minutes (I try to do it over night). Remove your pork chops from the baking dish and discard the marinade. Sprinkle chops with salt and pepper. 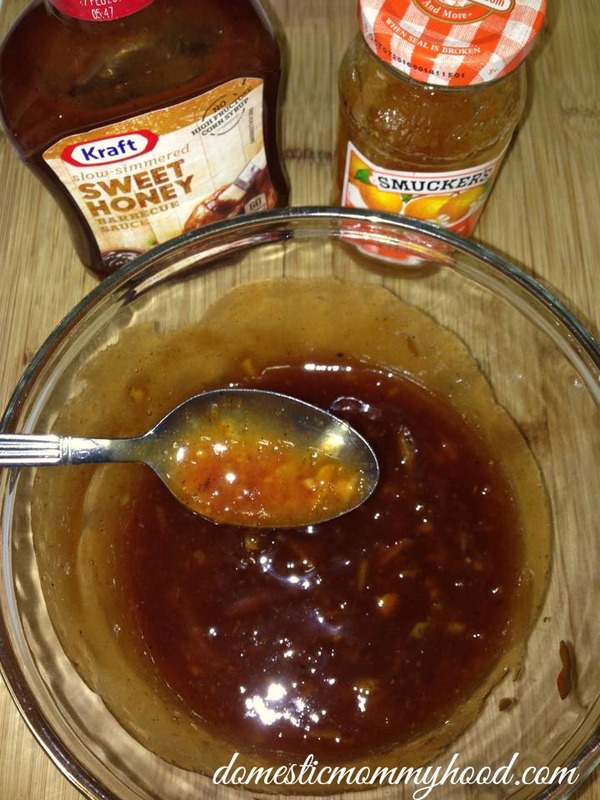 In a small bowl mix the marmalade and barbecue sauce. Spread half of the sauce evenly over one side of chops (reserve the remaining sauce for the other side of chops which you will spread on at a later time. Grill the non-marinade side on medium heat for 10 minutes covered. Flip the chops to the other side and coat with the remaining marinade and coo for another 10 minutes covered again. Remove from grill and let rest for 5 minutes. *If adding the orange slices as garnish grill them for 1 minute each side over medium heat. Plate the orange slices with pork chops for serving.